Joel Martinez | jmartinez@themonitor.com Jacobo Rivera stands during a break from his murder trial Nov. 15 at the Hidalgo County Courthouse in Edinburg. EDINBURG — A jury convicted Jacobo Rivera of manslaughter Friday and sentenced him to 15 years in prison, acquitting him of the more serious murder charge. The decision not to find Rivera, a former Palmview police dispatcher, guilty of the most serious charge was a disappointment to the prosecution and the family of Kryztal Luna, who died Aug. 17, 2016, after the vehicle the defendant was driving crashed into an expressway support pillar in Palmview. The jury’s deliberations stretched over 10 hours. Jurors additionally convicted him of evading arrest or detention causing death and throughout the two-week trial, Assistant District Attorneys Vance Gonzales and Lauren Sepulveda argued that if jurors were to find 24-year-old Rivera guilty of that charge, he would automatically be guilty of murder because Luna’s death was the result of him intending to commit another felony. Jurors, however, did not see it that way, only that he had attempted to avoid being pulled over by a Texas Department of Public Safety trooper and had caused her death by acting recklessly. The trooper testified Rivera was driving at 120 mph on West Expressway 83, double the legal speed limit, and additional testimony by a traffic accident investigator’s review of the car’s black box suggested that after exiting the expressway, Rivera attempted a left turn at speeds exceeding 100 mph, ultimately striking the pillar. 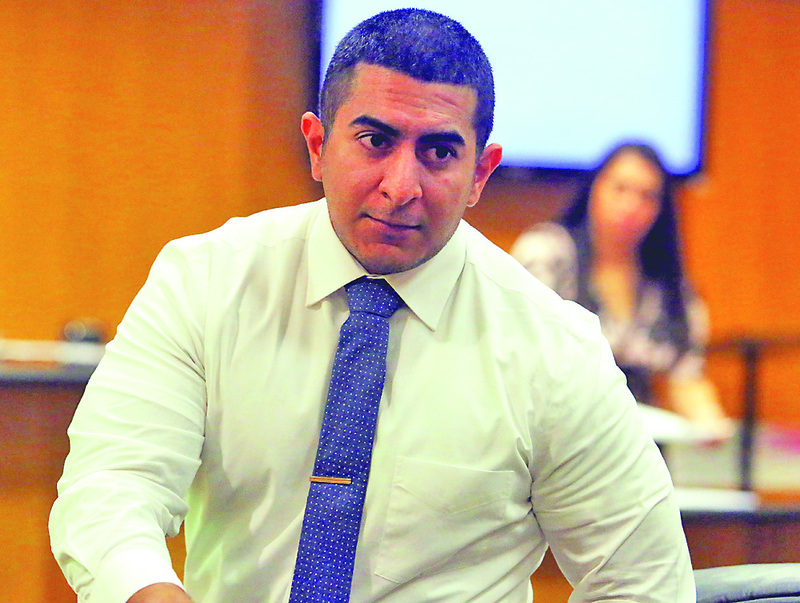 Rivera’s attorney O. Rene Flores suggested to jurors during his closing argument Thursday that Rivera hadn’t seen the trooper, and thus was not fleeing, and that the car’s brakes had not been working at the time of the accident, despite the black box report indicating the anti-lock braking system was engaged. Rivera was sentenced to 15 years on both charges, but the sentences will run concurrently. He will be eligible for parole after serving half the sentence. Prosecutors had asked for the maximum sentence of 20 years for the second-degree felony charges while Flores had asked jurors to consider probation since Rivera has no prior criminal history.